No FAA Registration: this quadcopter doesn’t require a FAA registration – Excellent for beginners and hobby users. 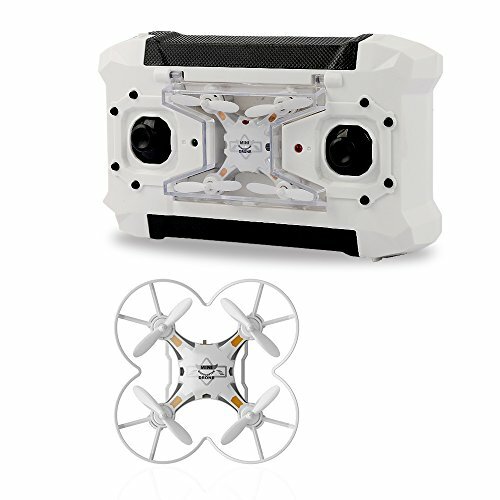 First Person View: featuring a high-definition 2 megapixels camera and a 5.8GHz wirelesse transmission, enjoy real-time viewing directly to the transmitter LCD screen. 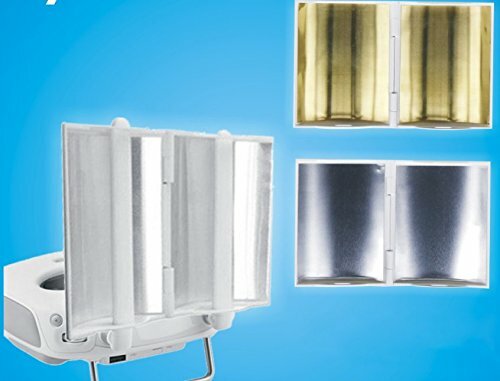 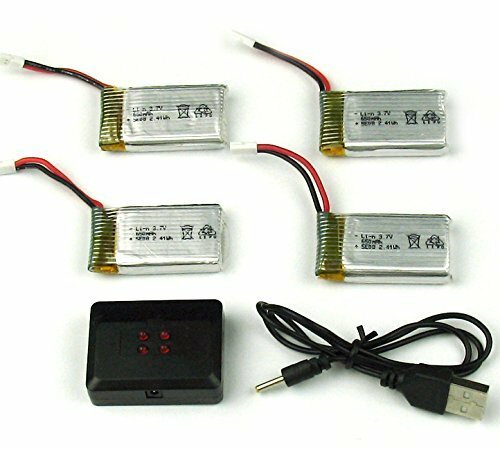 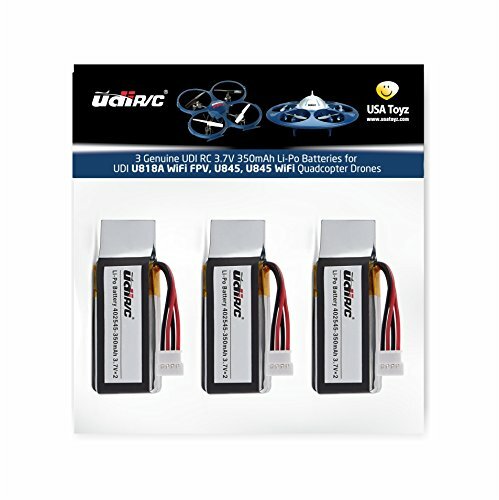 3 Axis and 3 Accelerometers: ensure stronger wind resistance, ultra-stable and reliable flight characteristics right out of the box. 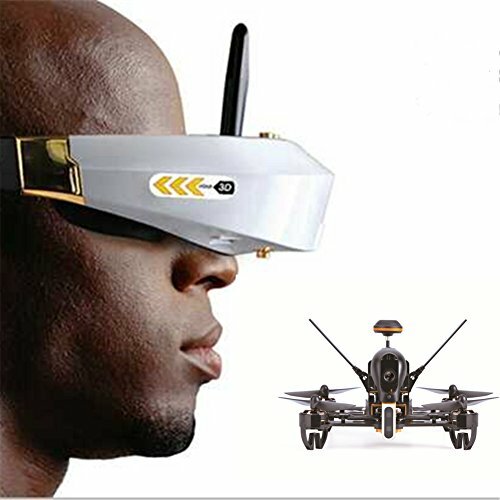 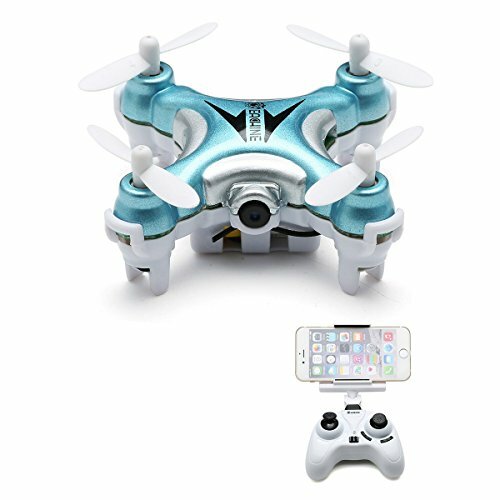 Advanced features: “Return to Home” key function that enables the quadcopter to fly back to the starting point without trouble(USED WITH CARE AND NEW USER NOT RECOMMANDED). 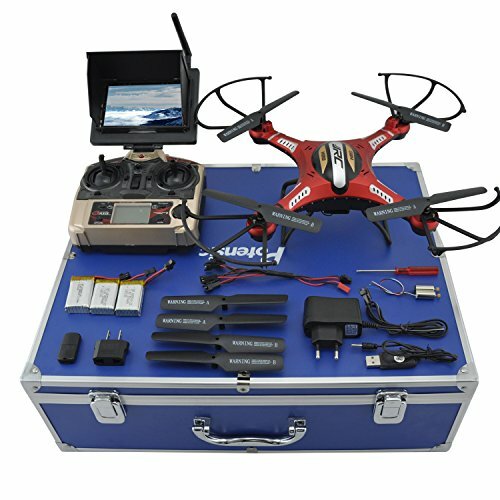 Ultra powerful motors that support additional accessories (camera, water canon, bubble blower…). 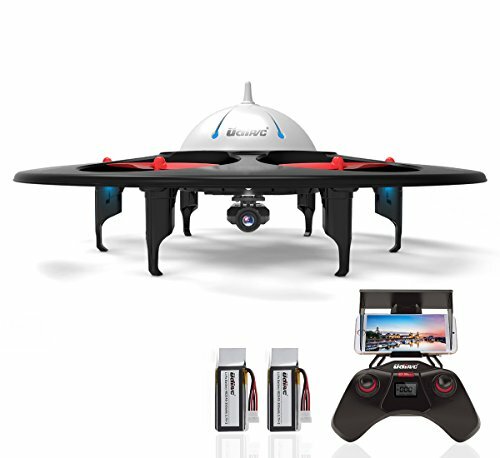 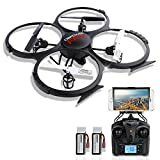 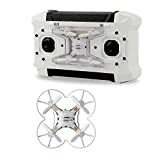 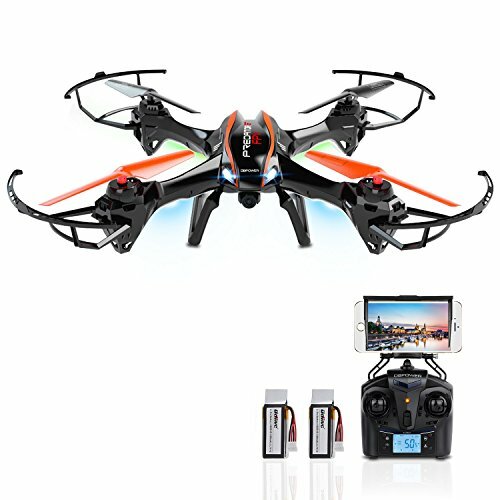 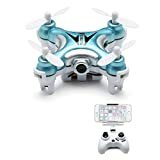 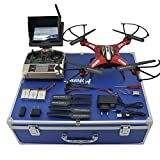 What You Get: Potensic 1-Year Limited Warranty, JJRC H8D 5.8GHz FPV RTF RC Quadcopter, 5.8 GHz Transmitter, 2 Megapixels Camera, FPV LCD Screen, Carrying Case, (3) 7.4V 500mAh Batteries, (2) Spare Motors, 2GB TF Card, USB Card Reader, Battery Charger, (4) Extra Blades, User Manual.